G F Tomlinson have worked on various schemes at the Beeston headquarters of Walgreens Alliance Boots for a number of years. The work is undertaken on a negotiated basis and involves external civils plus building works to the existing buildings. 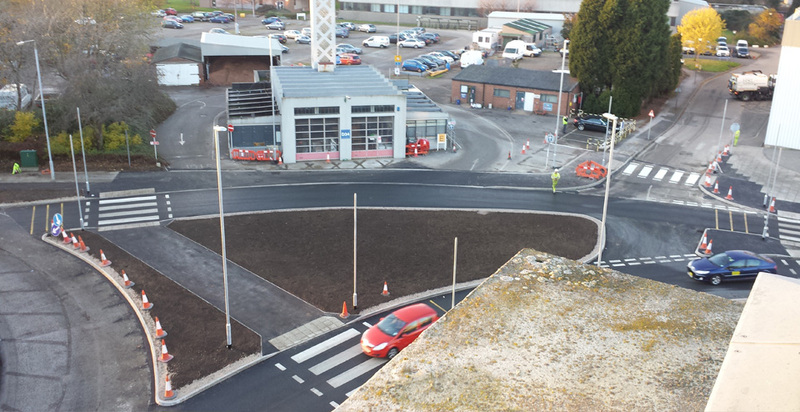 As a result of the length of time we have worked for Boots, and the number of projects undertaken, we know the requirements of the site extremely well and have become an integral part of their facility management process. Projects have ranged in value from small refurbishment schemes to larger infrastructure and civil engineering schemes across the site. Projects undertaken have included the re-alignment and extension of existing carriageways and pathways including street lighting, drainage and landscaping. A cycle network upgrade. 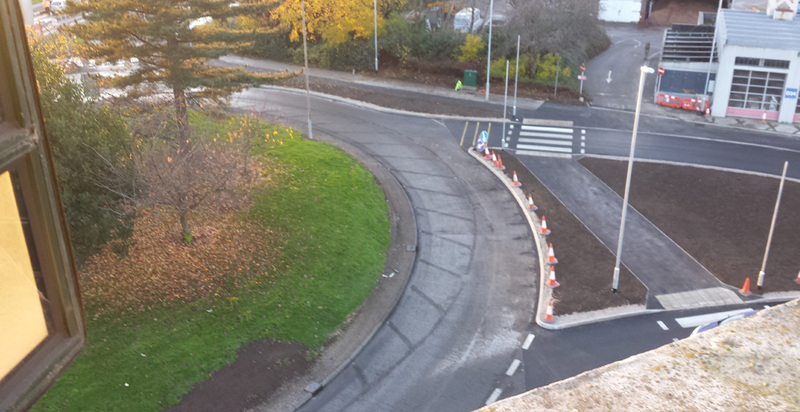 Alterations to the D6 roundabout and carriageway. Pedestrian Safety Improvements. Alterations to existing toilets in the warehouse including a pumping chamber and rising main.